I want to let you all know as locals and prior participants in Claire’s and Jerigtu’s workshops of this opportunity for a deep dive intensive, “Energy Qi Gong” from Friday October 19- Monday 22 at Hidden Springs Wellness Center in Ashland. Last year’s 3 day intensive was so rich AND people felt we could have gone even deeper with an extra day. So we will be gathering 10 am- 9 Pm Friday, Saturday and Sunday and 10-4 pm on Monday for descent and deepening into the body! It is a non-residential intensive so there will be breaks for meals and rest , but the opportunity to stay with the energy is very valuable.The innovation of doing healing sessions with volunteers within the intensive will be included which is only possible with the strong container created by us all. For returning students, the cost is only $350. For new students, it will be $425. Also, I am pleased to announce that Jergitu will teaching Level 1 and Level 2 of Yi Jin Jing Saturday Oct 27 and Sunday Oct 28. Pricing and location will be announced. 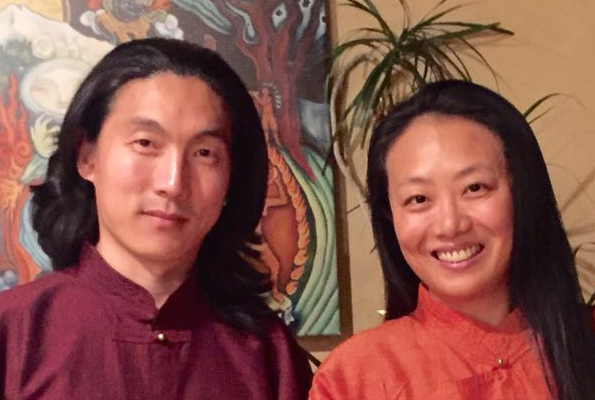 This will be the first time we will experience Level 2 Yi Jin Jing., a powerful Daoist practice for longevity and health. Jergitu is the sole lineage holder of this rare form. Steve Glaser of Ashland Center of Asian Bodywork held weekly practice groups incorporating what we learned from level 1 with Qi Gong which helped many stay with the practice. Claire says this is a good practice for dancers, yoga practitioners and body workers. 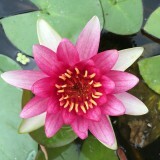 Both Claire and Jerigtu will doing individual healing sessions Oct 23-26 and October 29-Nov 2 in Ashland. 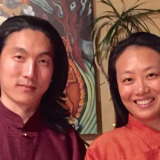 Also, I am sure Claire and Jergitu will be sharing their progress on building their integrative healing center in Inner Mongolia steeped in indigenous Mongolian, Daoist and Shamanic traditions which is due to open the summer of 2019! Feel free to forward to those who may be interested. I will be getting out flyers and more details in a few weeks.